Las Vegas, October 25, 2017 –Trane, a leading global provider of indoor comfort solutions and services and a brand of Ingersoll Rand, recently recognized Element Building Company, a custom homebuilder out of Henderson, Nevada, with the Partner of the Year award for outstanding support of the St. Jude Dream Home® Giveaway in Las Vegas. The Trane Partner of the Year award recognizes a national vendor partner that best exemplifies the values of the Trane brand. This year, that partner also helped to further the mission of St. Jude Children’s Research Hospital® as the general contractor of Nevada’s first ever St. Jude Dream Home Giveaway. Trane leaders recognized Element with the award at a ceremony during the St. Jude Builder Summit in Memphis, Tennessee, October 9-11. “Element’s collaborative partnership with the St. Jude Dream Home Giveaway program created opportunities for the Las Vegas metropolitan building community and other contractors with whom they worked to build the home to the Emerald level of the National Green Building Standard™ certification to benefit St. Jude,” said Mark Hall, builder and retail leader for Trane. The National Green Building Standard, approved by the American National Standards Institute, evaluates how a home is built to achieve high performance in six areas including: site design, resource efficiency, water efficiency, energy efficiency, indoor environmental quality, and building operation and maintenance. 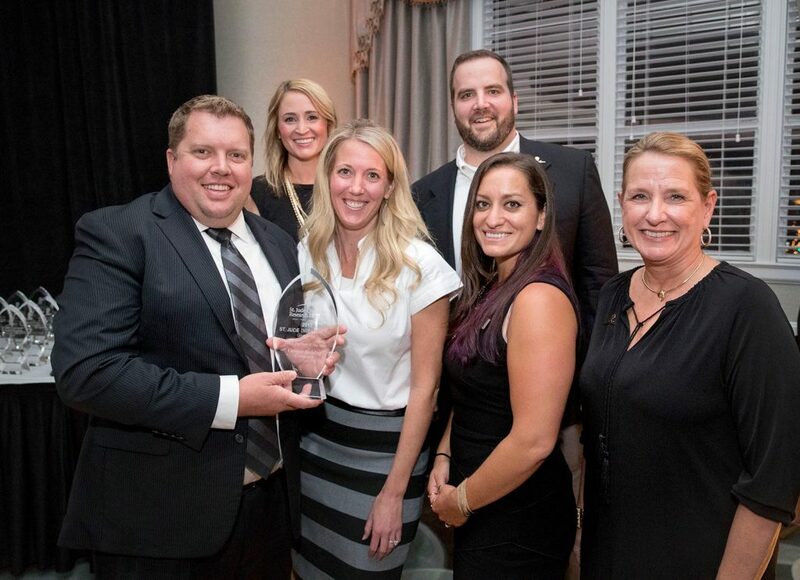 “The Element team, led by Josh Anderson, owner of Element Building Company, shared their passion for the cause and construction of high performance homes with others, pulling their partners and the community together to support St. Jude Children’s Research Hospital and its lifesaving mission,” shared Hall. The Element team included many other local suppliers including HVAC distributor Ferguson and contractor Sun County HVAC for their heating, ventilation and air conditioning needs. St. Jude is leading the way the world understands, treats and defeats childhood cancer and other life-threatening diseases. Each year the St. Jude Dream Home Giveaway program raises money by selling tickets to win newly-constructed homes in more than 35 markets around the country, as well as other prizes. The single largest fundraiser for St. Jude nationwide, the program has raised $370 million to help the hospital continue its pioneering research to find cures. The money also helps ensure families never receive a bill from St. Jude for treatment, travel, housing or food. St. Jude believes all a family should have to worry about is helping their child live. The contemporary 2,850 square-foot home built by Element for the giveaway is located at 4135 Durango Drive in Las Vegas. It features three bedrooms and 2.5 bathrooms with a master suite offering backyard views and a covered courtyard garden. For more information about Element Building Company, visit elementbuildingcompany.com and for more information about St Jude Children’s Research Hospital and the St. Jude Dream Home Giveaway, visit www.stjude.org.